US factual giant Discovery has revealed a host of new commissions across its channels, including a three-hour special on child murders in Atlanta for Investigation Discovery and a Jack Osbourne-fronted series for Travel Channel. Discovery’s presentation to the Television Critics Association Winter Tour was led by two greenlights for its true crime cablenet Investigation Discovery (ID). The Atlanta Child Murders, from executive producer Will Packer and Jupiter Entertainment, focuses on a series of unsolved killings in the US city in the late 1970s and early 1980s. It will premiere on Tuesday March 23. Meanwhile, Deadly Recall is a six-part series taking ID viewers inside the photographic memory of a veteran homicide detective in Nashville. The 6×60’ series premieres on March 5 and comes from Joke Productions. Three new shows have been greenlit for Travel Channel, which Discovery acquired as part of its takeover of Scripps Networks Interactive a year ago. 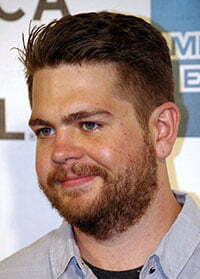 Jack Osbourne is fronting Portals to Hell with paranormal researcher and investigator Katrina Weidman for the cablenet. The 8×60’ show, due to premiere on April 19 and produced by Osbourne’s prodco Osbourne Media along with Critical Content, explores supposedly haunted locations around the world. Karga Seven Pictures is working on Mission Declassified, which sees investigative reporter Christof Putzel continue his travels around the world to uncover hard-hitting stories. Putzel has previously exposed Neo-Nazi attacks on immigrants in Russia, illegal US weapons sales to Mexican drug cartels, and the tobacco industry’s exploitation of children in Asia. His new 9×60’ series will premiere on March 24. Travel Channel is also bringing back America Unearthed, which originally aired for three seasons on A+E Networks’ H2 channel between 2012 and 2015. The show, fronted by geologist Scott Wolter and produced by Committee Films, uses artefacts and other items dug out of the ground to tell the history of the US. The channel has acquired the existing 39 episodes alongside commissioning a 10×60’ fourth run. Elsewhere among the Discovery channels bundle, Animal Planet is preparing to premiere Evan Goes Wild on February 24. Produced by Industrial Media, the series focuses on Dr Evan Antin, who has become an Instagram star and was voted Sexiest Veterinarian Alive by People magazine. Food Network, another channel picked up in the Scripps deal, is readying culinary competition format Family Food Showdown for March 3, while female-skewing lifestyle network TLC has announced two new series. Drag Me Down the Aisle, premiering on March 9, is produced by Alkemy X and sees a team of drag queens drafted in to save a bride’s big day. Finally, Kate Plus Date sees the star of Kate Plus Eight enter the dating scene. Figure 8 Films is the producer. Among the other shows unveiled was the previously announced Cajun Navy (working title) for the flagship Discovery Channel.